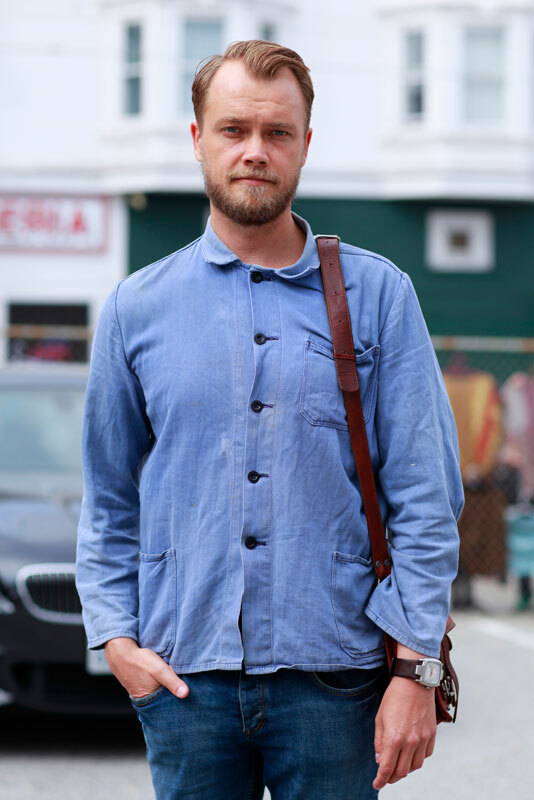 Kare is Scandanavian and I love how he does workwear in a slightly different way. 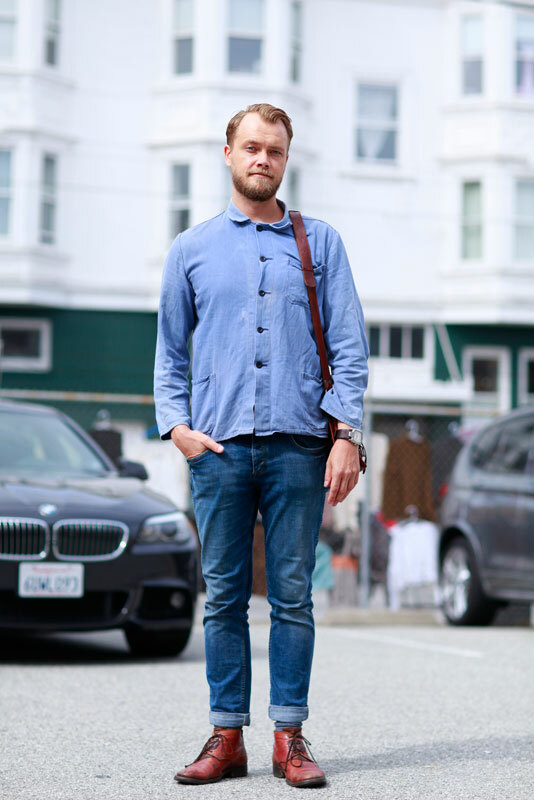 He's got the beard, the leather satchel, the chukkas, and the button-front shirt, but notice things like the cut of the collar on the shirt or how that combined with the squared-off bottom of the shirt makes it seem like a Mao-era worker uniform? 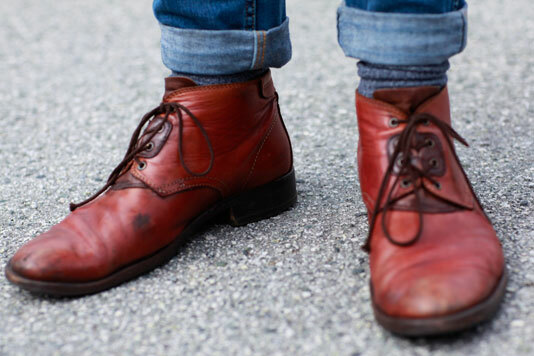 Look at these perfectly weathered bi-color leather chukkas. These were made so right.